All through the 90's and early 2000's while people marvelled at the ever increasingly 3D and CGI effects being pioneered and pushed even farther with the release of each Pixar, DreamWorks and other productions, I felt not much. I was impressed that we were now harnessing the power of computers and digital technology to represent the world in a new way but I felt like the non-starter left standing in the dust after a race starts. I didn't start. I chose to stay there fixed in place as I saw a steady race towards the more real than real aesthetic. I stayed there focusing on a more traditional concept, evidence in the image of the artists hand. Disney closed its 2D hand drawn- animation department down and all animated summer films became a 3D blur. Over the years I did begin enjoying 3D works that seemed to use technology as a showcase for the creative imagination. In some cases the realism of technology sometimes seemed a substitute for creativity and good writing however. I do have a handful of works that I enjoy because they seem like they were made thoughtfully for the 3D medium and not because it was the easiest method of creation. I like 'Finding Nemo' and 'Pocoyo' and a few others for the strength of design and writing etc. but not a whole lot else. That is not really fair of me as I avoided watching most. I couldn't help that I just enjoy style and a feeling of vulnerability about an image. For this reason along with great writing 'Duckman', 'Kipper the Dog', 'The Wild Thornberry's' and 'Dr. Schwartz' were some of my favourite tv shows. Sometimes 3D work can provide you with that hard plasticky shell but sometimes its quite great. Nonetheless I sigh at the replacement of the older Winnie the Pooh tv series with the new 3D versions. 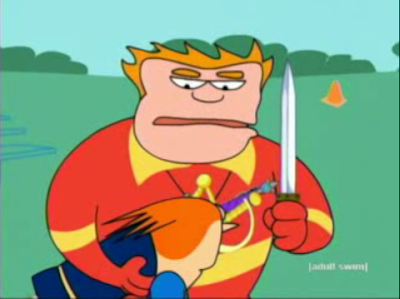 I guess its really down to an issue of why I enjoy good 2D animation more than 3D. It has something to do with keeping the presence of the artist in the final work. For me 3D often seeks increasingly to close its gap with reality and 2D seems to in the digital age be trying to assert its belief in drawing and imagination. I treasured those few feature animations that while being digitally composed and finished, still retain an insight into the 'art' of the project. 'Belleville Rendezvous', 'Atama Yama', 'Persepolis' are films that come immediately to mind. 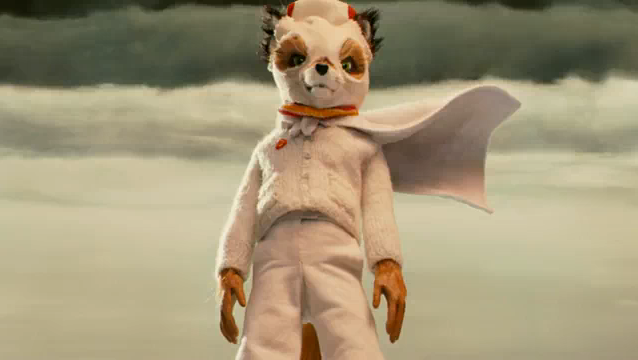 Having recently watched 'The Fantastic Mr. Fox', I can also add this to my list. I was really impressed by the 'homemade aesthetic' that Wes Anderson chose to use. This isn't surprising as it can be seen in his other films. I think his allowance of pure bits of unstudied imagination to be seen in a Hollywood film seems to be a main reason for the popularity of his films. The 50's style knife-fight dance choreography of a rat with an American southern-accent, the flicker of the young foxes ear when he is displeased and the balletic grace of Mr. Fox are reasons for this movies appeal but for me its the handmade craftiness of it all.